at the next renewal survey and certification if already certified under the 1998 Brown Code, MGN 280 (M) or the 2014 Industry Working Group Technical Standard. The MCA has stated that these older codes are no longer to be recognised for workboats and pilot boats. 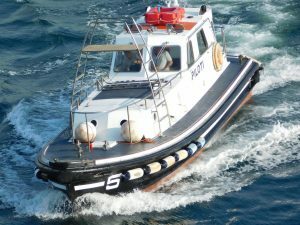 If you are operating your vessel commercially, or are considering providing commercial services (e.g. chartering) with your leisure vessel, Blabey Engineering Limited can help you interpret the regulations, find the right MCA Code of Practice to suit your operation or assist you in bringing your existing certified vessel up to the standards required by Work Boat Code Edition 2. I have extensive experience in overseeing the design, build and operation of a wide range of vessels in compliance with the Codes, and have – throughout some 18 years – contributed to the work of the MCA and industry groups to devise and update them.